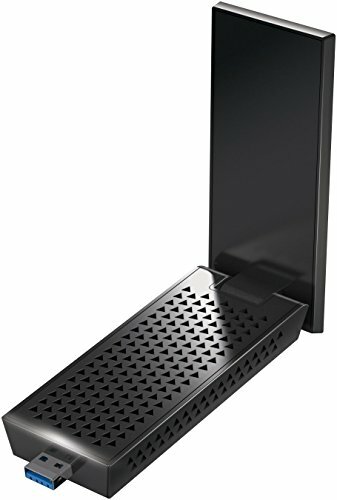 NETGEAR Nighthawk AC1900 Wi-Fi USB 3.0 adapter wirelessly connects your laptop or desktop computer to the next-gen 802.11ac technology with Wi-Fi speeds up to 1.9Gbps. Connect the adapter to a USB 3.0 port for fast and efficient data transfer, online lag-free gaming and HD streaming, at home or on the go. Compatible with next generation Wi-Fi devices and compatible with 802.11ac/n and all legacy Wi-Fi devices. Powerful antennas with Beamforming+ technology boosts speed, range, and reliability of Wi-Fi connections. This adapter includes a magnetic cradle for an easy mount on a metal surface. Connect to your router's Wi-Fi network with Wi-Fi Protected Setup (WPS). NETGEAR genie app makes installation almost effortless. Genie also allows you to easily monitor, connect, and control your home network.